First, a seller typically pays an upfront fee for a valuation ofthe business. Short of a retainer scenario where the valuation is generated by the M&A advisor firm out of a retainer fee – somewhat a conflict of interest – a business owner will have usually a third party, accredited valuation firm establish a value for the company to be sold. 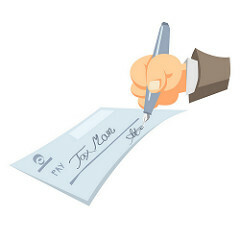 Upon closing, there is the cost of taxes to be paid by the business seller. This can be significant, depending on the type of transaction (Stock vs. Asset) and the type of company (LLC vs. Corporation). A qualified CPA can establish a tax estimate for the seller once a valuation has been put into place with an approximate deal size and structure. Early planning for a sale of a business will go a long way in reducing potential taxes. Generally speaking, back-end firms collect their fees at the closing table upon completion of a transaction. Accordingly, they typically cover the upfront expenses of preparing and selling a business – often amounting up to $40,000+ in the lower mid-market – and only work with rigorously written engagement agreements to ensure that fees are paid at the end and said upfront fees are recovered. Accordingly, they are allowing for few changes to their engagement agreement with a business seller. Alternatively, there are retainer M&A firms which typically capture a hefty upfront fee (very much like attorneys), typically, for a third of the commissions, payable over the initial engagement period. Needless to say, given that the significant upfront expenses of marketing the business are somewhat mitigated by the retainer, it allows for lesser stringent engagement agreements. However, such firms might not have the same ‘motivation’ to sell – given the fees were already captured. A Neumann & Associates, LLC is a professional mergers & acquisitions and business broker firm having assisted business owners and buyers in the business valuation and business transfer process through its affiliations for the past 30 years. With an A+ Better Business Bureau rating, the company has senior trusted professionals with a deep knowledge base in multiple field offices along the East Coast. The firm’s competitive fees are based on successfully completing transactions.